During the dark days of winter, I look for books that will make me smile. Here are two that I found on the shelves of our library. One bright day, a truck whizzed up to the front gate of the Zoom. There was a new animal being delivered. As you can tell by the cover, the new animal is a sloth. And he's a bit out of place, because the Zoom is a place filled with hustle and bustle. Zebras gallop so fast they leave their stripes in puddles! Cheetahs race so speedily that their spots fly right off their backs! 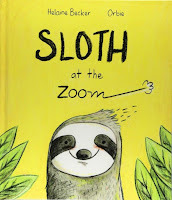 What I like about this book: I love sloths, so of course I loved this character. Upon arrival he stretches. He does sloth things (yoga maybe? lots of naps, and definitely hanging around). The dialog is written in balloons, so sloth's conversation can be... divided... into small bits... that take... as long to read... as you might expect... a sloth to... speak. The problem: nobody at the Zoom has time to spend with sloth. Except for one small creature- a snail. They become fast friends who share slow conversations. How other animals react is priceless. I also like the end pages: a map that shows exactly where the delivery truck made the wrong turn. You see, sloth was supposed to end up at the Zzzzzoo! 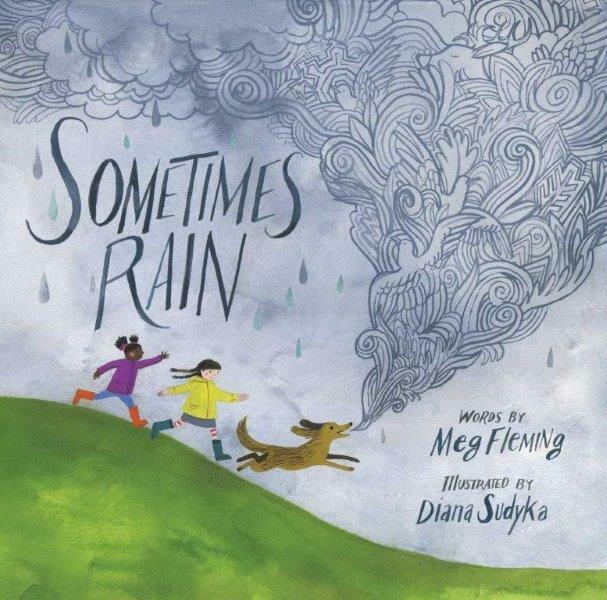 This is a wonderful journey through the seasons, written in rhyme. 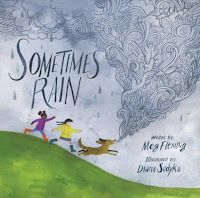 What I like about this book: I love that there are children out exploring the world through the seasons. They are waiting for spring near a brook, losing boots in mud, sitting in the grass with a hand lens for observing snails and frogs... I love the spread where trees change from summer to fall, and the frosty speech bubbles that freeze in winter air. A perfect book to read no matter the season. Have you ever turned the wrong way and ended up somewhere completely different from where you expected to be? In my case, it was a hike. The trail went one direction; I went the other... Create a story about your wrong-way adventure. Draw a map to show where you turned off from your planned route. Spend a day at sloth speed. Slow down. Eat slowly. Move like a sloth. Hang out. Find a friend. Learn more about sloths here. Explore the world around you this season. What do you see outside? Follow footprints, find birds, admire frost designs on windows. Both of these look amazing. I will see if I can find them. Thanks. 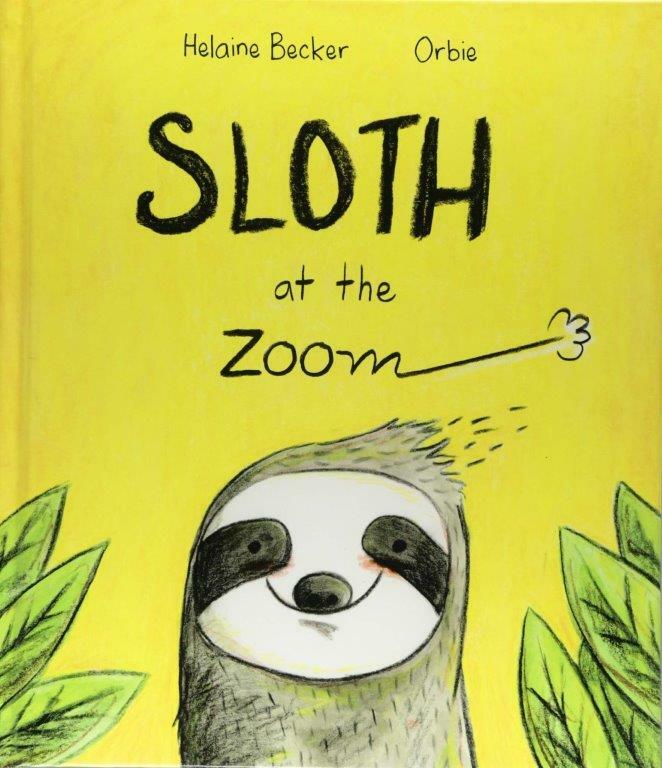 I LOVE the illustration of the sloth on the cover! I ordered both these from my library and can't wait to read them. Thanks for the recommendations. No problem working at sloth speed--it seems to be my normal speed anymore, lol. Now I need to find the zoom.